ACME Crime Net » The New Syndicated Weeknight Version Episode 1: Where did the Pet Go? » The New Syndicated Weeknight Version Episode 1: Where did the Pet Go? The New Syndicated Weeknight Version Episode 1: Where did the Pet Go? Since ACME Crime Net started to run a Bi-Weekly Version for Family Gumshoes, I'll do a Syndicated Weekday Version with Returning Champions so let's go! Chief: And One of these people could find her! A Warehouse Retail Store Merchandiser from Reseda, CA meet Paul Cortez! 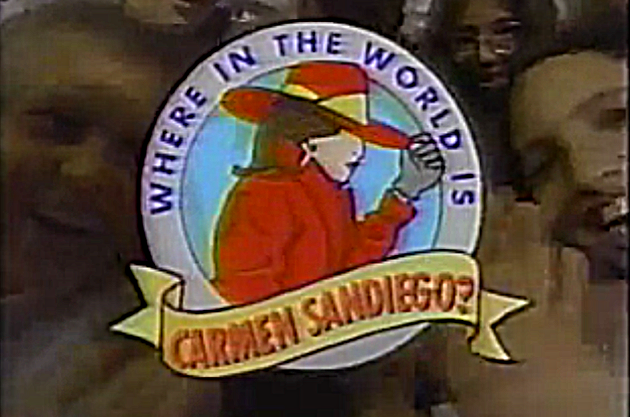 Greg: And Good Evening to You, Thank you so much welcome to Where in the World is Carmen Sandiego delighted to have you with us where someone can win Thousands of Dollars in Cash & Prizes at Anytime, so nice to have you we got our three gumshoes and speaking of cash so all of you will start at $2,500 each time will give you a correct answer you win $500 and if you nail it, I will give you $1,000, The two players with the most money at the end of this round will proceed to the Jailtime Challenge and the lucky person catches Carmen Sandiego can win big and maybe win more on Tomorrow's Show! Greg: All Right, Chief Jay who are we after tonight? Petco Park home to the National League's San Diego Padres is opened in 2004 at 19 Tony Gwynn Drive and is mostly owned by The City of San Diego but it's also home to concerts, football, golf and Rugby Sevens located in Downtown San Diego, Petco Park replaced Jack Murphy Stadium as the new home the San Diego Padres in 2004 and in 2016 hosted the Major League Baseball All-Star Game but after that something happened! Chief: Where Did The Pet Go?, Now Here's What we've learned so far ACME Baseball Net has tracked Contessa to the Nation's Capital as the Nationals host their first game in 2005 after they relocated as the Montreal Expos at RFK Stadium however the United of the NASL (1) played here until 2017 as a New Stadium will open in 2018, However Contessa also visited the National Mall including the Lincoln Memorial however she has to meet President Obama before we have a new president, Greg? Rockapella: ACME Radio Net, More Hits, More Music! Re: The New Syndicated Weeknight Version Episode 1: Where did the Pet Go? ACME Crime Net. Vigilance, Dedication, Courage!